We have illustrated the geometrical concepts described in this book through examples wherever possible, but have yet to close the loop, that is, link these concepts into complete design processes. 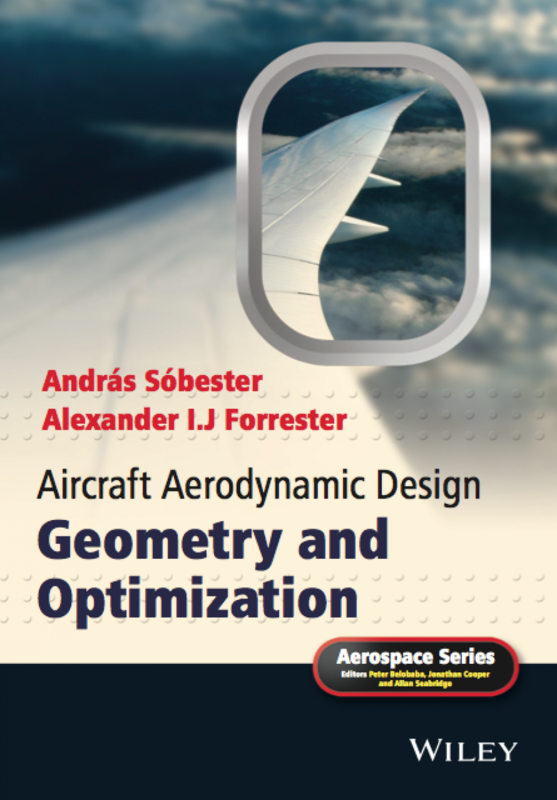 In this chapter and the next we endeavour to do just that, first through a simple two-dimensional flow solver coupled with an airfoil parameter sweep, then by taking that example further to the aero/structural design of a wing planform and sections. As well as examples of how to use the popular code XFoil, We have included our own simplified panel() and boundarylayer() codes. 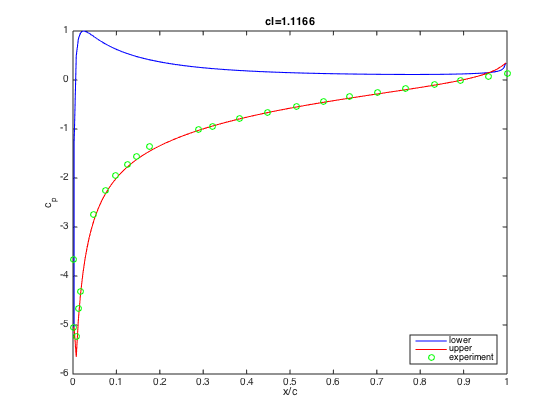 The Matlab script below shows how panel() can be used to calculated the pressure coefficient over the surface of a NACA0012 aerofoil. 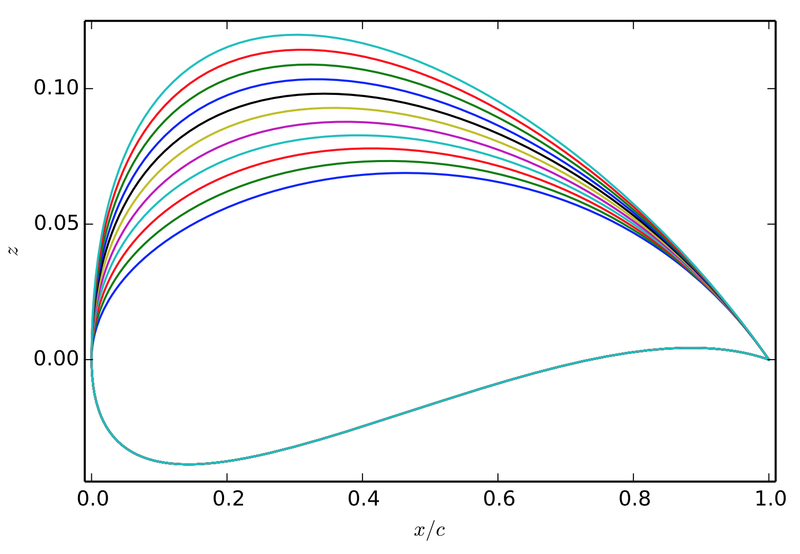 This will plot the calculated pressure coefficient profiles against a set of validation data, as shown in the figure below. The function naca4 computes the coordinate sets representing the NACA 4-digit airfoil identified by its arguments – in this case the NACA0012 (type ‘help naca4’ at the Matlab prompt once you have downloaded the geometry toolbox from this page for a more detailed description). Hello, do you have any idea of a code simillar to VGK or MSES with the advantage to be free for students (for my master thsis) and to give also accurate results for transonic airfoils. VGK and MSES are interesting solutions but not accessible for me as a student. Apologies, I have just noticed we missed this post… I can only think of http://www.xflr5.com/xflr5.htm and that is not really suitable for high Re applications. There is Drela’s http://web.mit.edu/drela/Public/web/xfoil/ as well, not sure about high Mach number performance.